Alexandre Birman "Celine" suede sandal. For in-store inquiries, use sku #2465207. 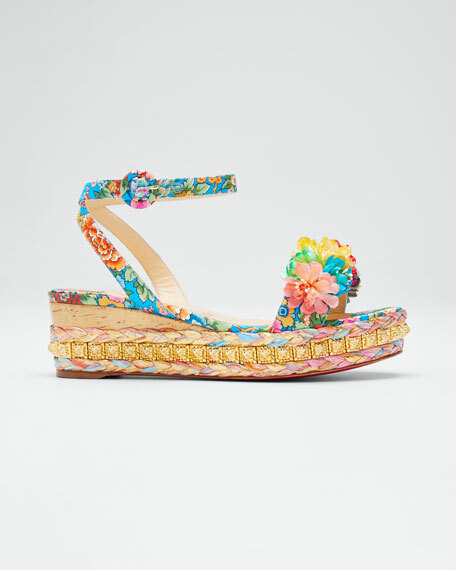 Christian Louboutin sandals in floral-printed satin with flower appliqu. 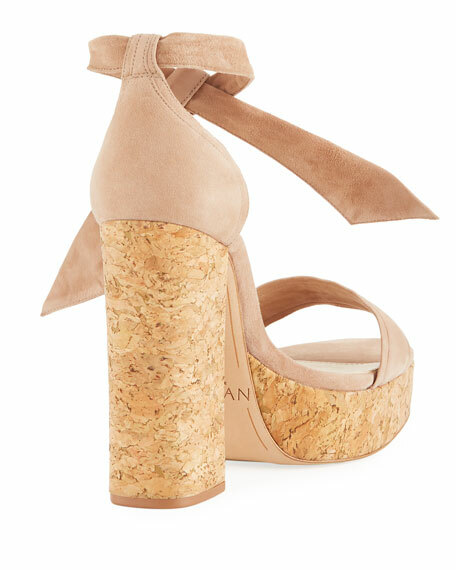 2.4" cork-wedge heel; spiked and pastel braided-jute platform. Strap bands open toe. Adjustable ankle strap. Signature red rubber sole. "Ariella" is made in Italy. 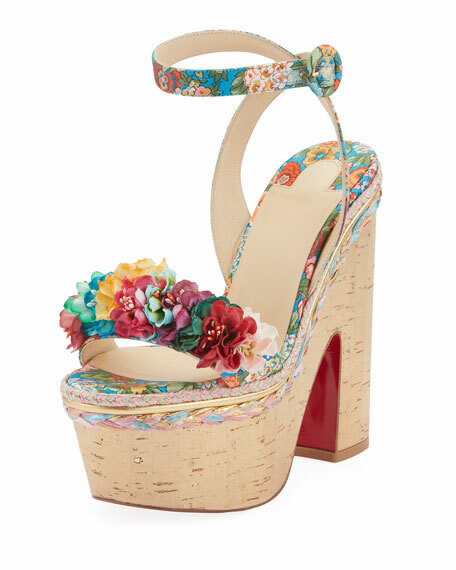 Christian Louboutin metallic cork sandals with spike trim. 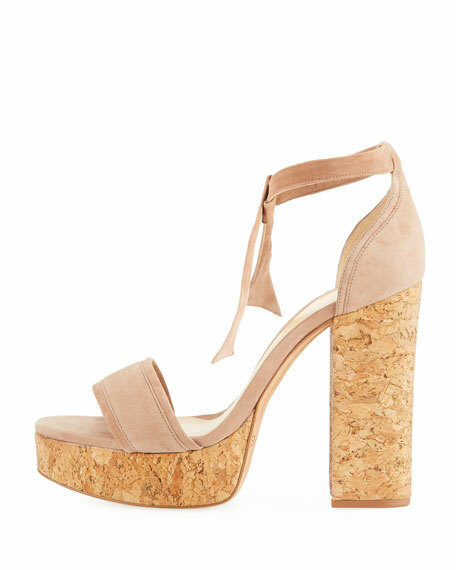 4.3" wedge heel; spiked and braided-jute platform. Strap bands open toe. Adjustable slingback strap. Signature red leather sole. "Pyradiams" is made in Italy.